Home » Posts Tagged "SB13"
It’s not usual for us to have four committee meetings to attend on the first day of the session – often it’s not usual to have four on any day of the first week. But not so this year. We’ve been in the statehouse all day today! First up was a meeting of the Senate Assessment and Taxation Committee where they planned an informational hearing on a bill, SB 13. Informational briefings are often held before a bill has been officially referred to a committee in order to get a jump start on learning the issue. SB 13 is a new version of CCR 2228 which was defeated at the very end of the 2018 session. This so-called “windfall” bill has a number of parts in it but the most talked about has been a provision decoupling part of the Kansas income tax code from the federal income tax code. When the Trump/Ryan tax reform bill was passed at the federal level, it was aimed at tax relief primarily for the highest earners. It ended itemized deductions for many taxpayers by putting in a restriction tying itemization to a certain percentage of income. Since most people don’t hit those thresholds, they essentially can no longer itemize. And since the Kansas tax code is coupled to the federal code, the same thing applies to state income taxes. If one can no longer itemize on their federal taxes, one can’t itemize on state taxes. Many middle income taxpayers who could itemize in the past can no longer do so and as a result, they may have seen an actual increase in taxes or, at best, saw no benefit from the federal law. If SB 13 were to pass, these taxpayers could once again itemize deductions on their state income tax forms. Unfortunately, as tax relief goes, this would benefit few Kansans – it is estimated that somewhere between 20 and 25% of Kansas taxpayers were itemizing before the change. Certainly, the highest income Kansans were itemizing and continue to do so now. Itemization tends to benefit higher earners and as incomes decline, so does the ability to itemize deductions. 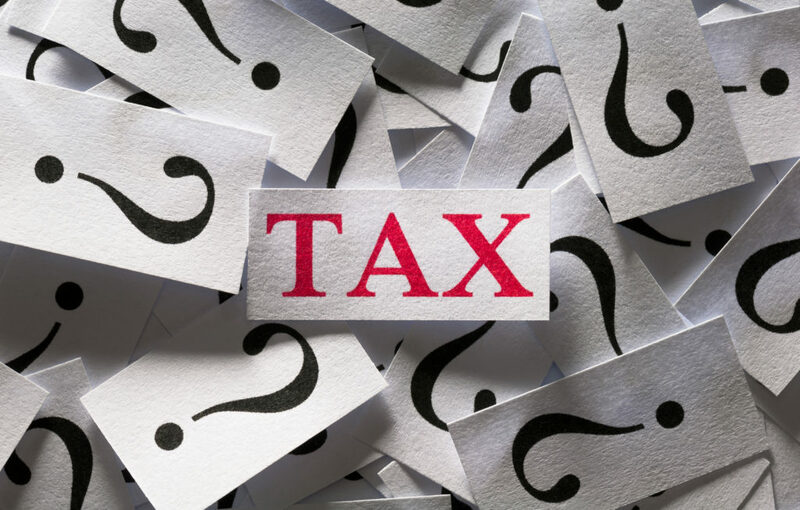 While this change will provide some relief to those taxpayers who were itemizing and lost the ability, it would also have a significant fiscal impact on the state tax revenues. Since five of the nine members of the Committee are co-sponsors of the bill, we would expect it would have an easy time in committee. Revisors (the folks who write statutes for the Legislature) gave presentations in the Senate Education Committee and the House K-12 Budget Committee today. Essentially, these presentations are intended to bring the committee members up to speed on how school finance got to the point it is today and what the Supreme Court ruled in their most recent finding. Essentially, the Court found no problems with the structure of the school finance formula but still called the funding inadequate but only because it did not account for inflation in the years during which the funding is to be phased in. The Senate Ways and Means Committee was the first to receive an update on the status of the state’s budget and predictions about revenue collections. So far, things are looking stable with ending balances available for several years. But as if to remind us of the need to stay the course on maintaining and managing our revenue stream, they noted that by 2022, we could be back to a 0% ending balance.